This year it is the first time, that we are part of the event with the store and not only myself as blogger or photographer. Art in Hats to me always was something, where designers could go over the top and create something artistic what you could put on your head. We created in total 4 hats for the event. 2 for the regular event, one for the hunt and one auction hat. All are 100% original mesh. One of the was the “Phaedra Headpiece” what you can see on the pictures of this post. 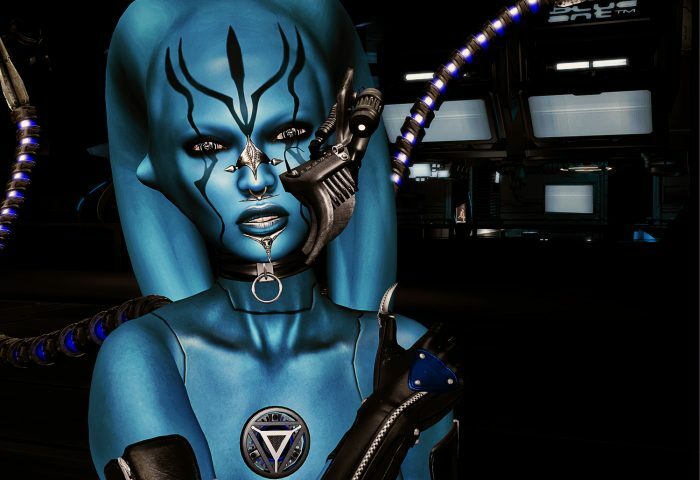 The headpiece is a futuristic looking kinda helmet with amazing branches, which end in awesome gems. The whole headpiece is HUD driven, so you can re-texture the gems, the ear covers, the middle stripe and the main part as well. The main part can be switched between black, gold and silver and the other parts have 11 different colors to choose from. 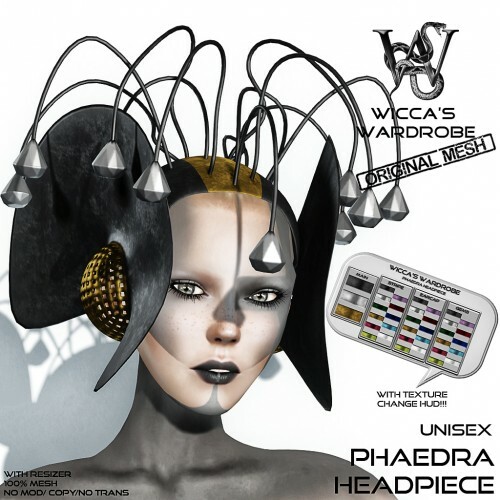 The hat headpiece is a 100% original mesh creation for our brand Wicca’s Wardrobe and at the moment only available at the Art in Hats event until the 14th of November.